At TeamTech, we’re always looking ahead. Our goal is to bring the latest thinking to our work so you have access to the most innovative ways to uncover challenges, solve problems – and move your teams and ideas forward together. We strongly believe that everyone can – and should – lead from where they are. 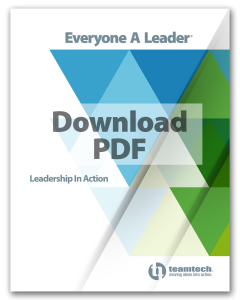 At TeamTech, we see leadership as a way to work not a title to hold. We inspire teams to understand the value of empowering their co-workers to bring their best selves to work every day. Learn more. When you infuse creative thinking into a common problem, you’ll end up with new solutions. Our specialty: Seeing both the big picture and the small details. That holistic view allows us to solve problems in new ways. 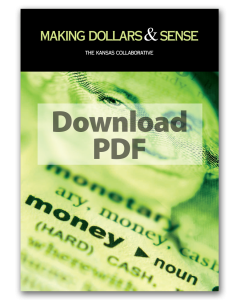 Find out how we used that approach to save organizations a lot of money. 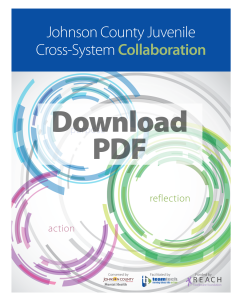 We brought dozens of people from a range of professions together to map out the path youth take through our juvenile justice system. Our goal was to find the earliest point we could, as a community, intervene in a child’s life to prevent later involvement in the judicial system. Learn more. 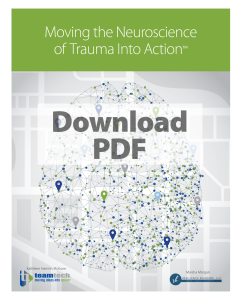 Our understanding of the impact early trauma has on brain development is evolving at a rapid pace. We know now that – unless addressed – early adverse experiences pave the way for a range of struggles later, from substance abuse to crime. See how communities can apply this knowledge in programs that build resiliency and promote healing.